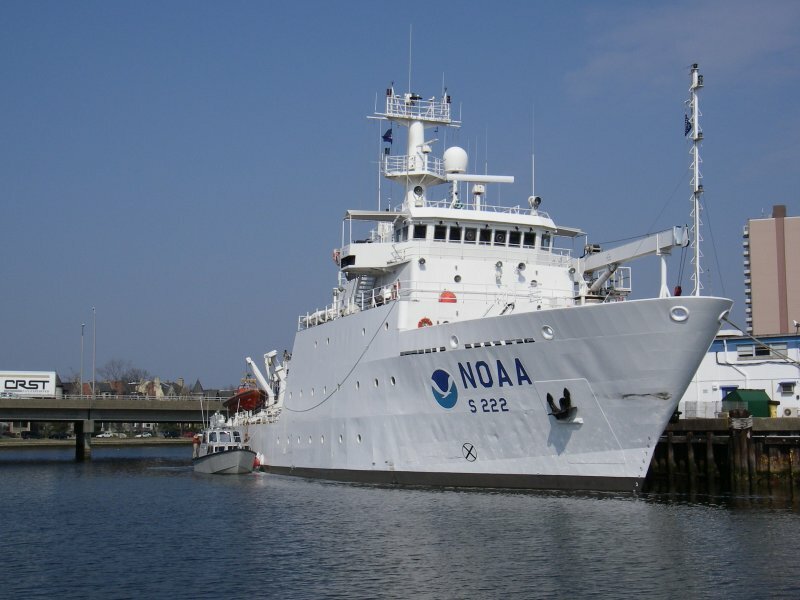 NOAA Ship Thomas Jefferson, a 208-foot survey vessel, sailed from New Orleans today to conduct a 10-day mission in the vicinity of the BP Deepwater Horizon oil spill. Researchers will take water samples and test advanced methods for detecting submerged oil while gathering oceanographic data in the area's coastal waters. Dr. Jane Lubchenco, Under Secretary of Commerce for Oceans and Atmosphere and NOAA Administrator, Cmdr. 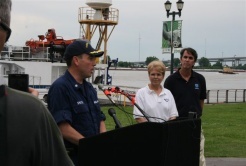 Shepard Smith, commanding officer, NOAA Ship Thomas Jefferson and Larry Mayer, professor and director, University of New Hampshire Center for Coastal and Ocean Mapping held a news conference in New Orleans to discuss the research mission. Administrator Lubchenco offered more information on the NOAA effort on a live CNN segment earlier in the day.